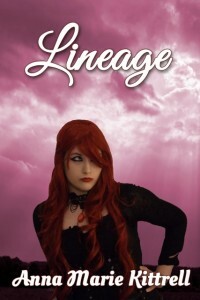 Today’s special guest is Bianca Ravenwood, the heroine of Lineage, the third novel in the Redbend High series by talented author, Anna Marie Kittrell. Bianca, it is so nice to meet you. I’ve met your friends, Molly and Lenni. Would you mind telling Inner Source readers a little bit about yourself: where you go to school, where you live, what your aspirations are for the future? Hi. After meeting Lenni, I’m surprised you don’t know everything about me, including what I had for breakfast! She tends to get excited and talk too much. Molly’s a little more stable—I mean calm. They are both phenomenal friends, and I wouldn’t trade either of them for the world. I am a senior at a small-town Oklahoma school called Redbend High. I’ve lived in Redbend my entire life. My dad and I have a house in an area the locals refer to as Old Town—the not so nice part of Redbend. Our place is pretty run down, but my dad has recently started doing repairs, beginning with our rickety old porch. It looks so much better now, but it was really sad when he tore down the wheelchair ramp he’d built for my mom ten years ago. He’d hoped she’d return home someday. She never did. As far as aspirations go, I love the theater, and just recently found out it’s in my blood—literally. My biological father studied theater in college and was quite renown in his role as Papa Brasswell in the musical, Amie. But that’s another story…Anyway, I plan to enroll in a dramatic arts college following graduation, I’m just not sure exactly where. I attended Wild Rose Mountain’s summer arts camp a few weeks ago, and it was incredible. Without a doubt, I know acting is what I want to do for the rest of my life. Your story brings in quite a surprise for you. I’m not going to spoil it for the reader, but I’d really like to know where you gained your strength to deal with these two back-to-back changes in your life? God. And the support of my father and two best friends. But since God is the one who put those incredible people in my life in the first place, I’ll give Him all the credit. My strength comes from God. Period. You have quite a sarcastic wit. You remind me of a character who appears in three of my books, and like you, she’s going to get a book of her own. Tell me how you came by your sense of humor. Me, sarcastic? What gave you that idea? My cynicism—at least that’s what the teachers call it—started out as a coping mechanism. When I was six, I made a peanut butter and jelly sandwich for my two-year-old brother, Sam, unaware he was allergic to peanuts. The sandwich killed him. My mother was so distraught over Sam’s death she tried to commit suicide by overdosing on pain meds, but failed. Instead, she ended up in Sugar Creek Manor asylum with severe brain damage. My father used alcohol to ease his pain over the situation, leaving me to survive the tragedy on my own. I had no choice but to be tough. Sarcasm, cynicism, and humor were my mask, my sword, and my shield. I wanted to protect my vulnerability. Having a sharp tongue kept others from getting too close. Except for Lenni. She’s always been stuck right to my side. I couldn’t peel her off if I tried—and believe me, I’ve tried. Part of your story involves a betrayal by someone who should have loved and protected you. If you got the chance to talk to him today, what would you say to him? Oddly enough, I’d thank him. Without him, I would have never met my sister, Cassie. I would have also missed the opportunity to witness my dad’s unbelievable strength. The ordeal taught me that family has nothing to do with blood relation, and that things are not always as they seem. I’d heard that old saying all my life, and even experienced it first hand in my witcha’be days, but never fully realized how true it could be. Oh, and I’d tell him that, fortunately for him, God loves and forgives jerks all the time. And I’d remind him how lucky he is that I no longer hold grudges. I’m smiling. I love the way you “cope” with things. You’ve mentioned the tragedies in your young life, and your readers, and even readers of this blog, know that you lived in a fantasy world because you couldn’t live with the self-blame. Bianca, what would you tell another teen if you knew they held some guilt in their heart over events that were truly beyond their knowledge to control? I would tell her never to be intimidated by anyone—including herself. God forgives all, but to be truly free, I believe we must forgive ourselves, too. If we don’t honestly forgive ourselves, Satan uses our feelings of guilt to intimidate and torment us. That goes for sins we knowingly committed, as well as events we had no control over. Trust me, it is so much easier to forgive yourself and ask God to forgive you than it is to run and hide from yourself and God. Satan would have you believe otherwise, but he’s a liar (John 8: 44). Liars gonna lie and haters gonna hate. So what? That doesn’t change God’s power. Or his ability to forgive. Excellent advice. I’m doubly glad I met you today, Bianca, and I look forward to talking with your author, Anna Marie Kittrell, again on Wednesday. Following the death of her mother, Bianca and her dad are on their own. 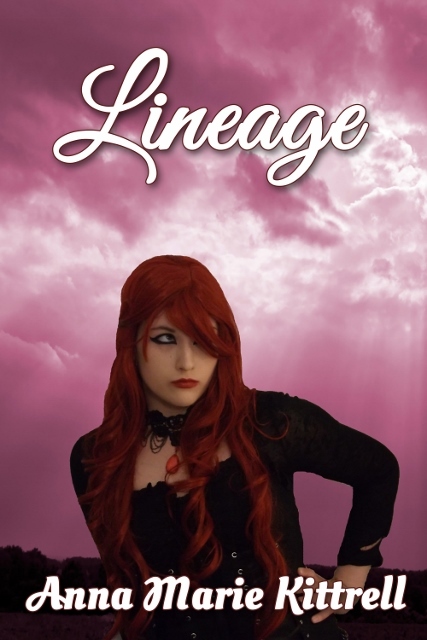 But when a redheaded stranger at the funeral claims to be her biological father, Bianca’s reality crumbles. 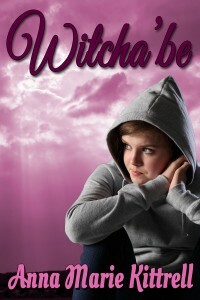 She soon finds herself trapped between the alcoholism of one father and the wicked schemes of another–no way to escape. Is the power of forgiveness really stronger than a Witcha’be spell? New to the small community of Redbend, Molly Sanders is delighted when she and Lenni Flemming become instant friends during the final weeks of her first Oklahoma summer. However, Bianca Ravenwood, Lenni’s best friend and self-proclaimed witch in training, is less than thrilled. In fact, she’s cursing mad, vowing to destroy Molly while honing her craft in the halls of Redbend High School. 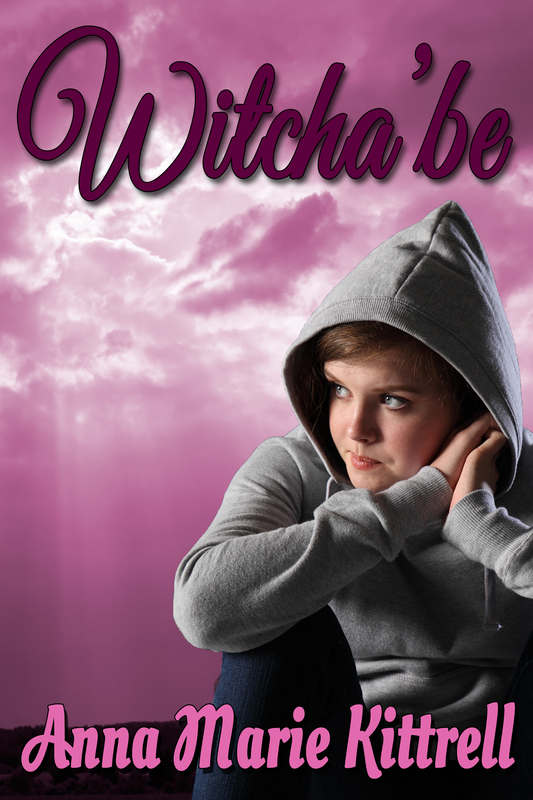 Molly’s new school becomes a waking nightmare as Bianca, beautiful wannabe witch, targets her in a jealous rage. Plagued by terrifying, inexplicable occurrences and an embarrassing case of panic-induced hiccups, Molly is unable to escape Bianca’s snare. Connect with Anna at her website, on Facebook, Twitter, Goodreads and at Prism Book Group. Bianca, I can’t wait to get to know you better! Thanks, Anita. With me, what you see is what you get. Great getting to know you, Bianca. Anna writes great characters, and you’re one of her best. Thanks. I guess she does all right. Sometimes I wish she’d stop telling people what I feel on the inside, because I don’t think it’s anybody’s business, but she says my insight can “help people.” I still think she gets a kick out of exposing me. Thanks for the honest answers, Bianca. I’m sure it was difficult, but sharing your experience can help others. You’ve had a rough time in your young life, but it seems to have made you a strong young woman. Hope your future is bright and beautiful! Thanks. Hey, Alicia, I know you. 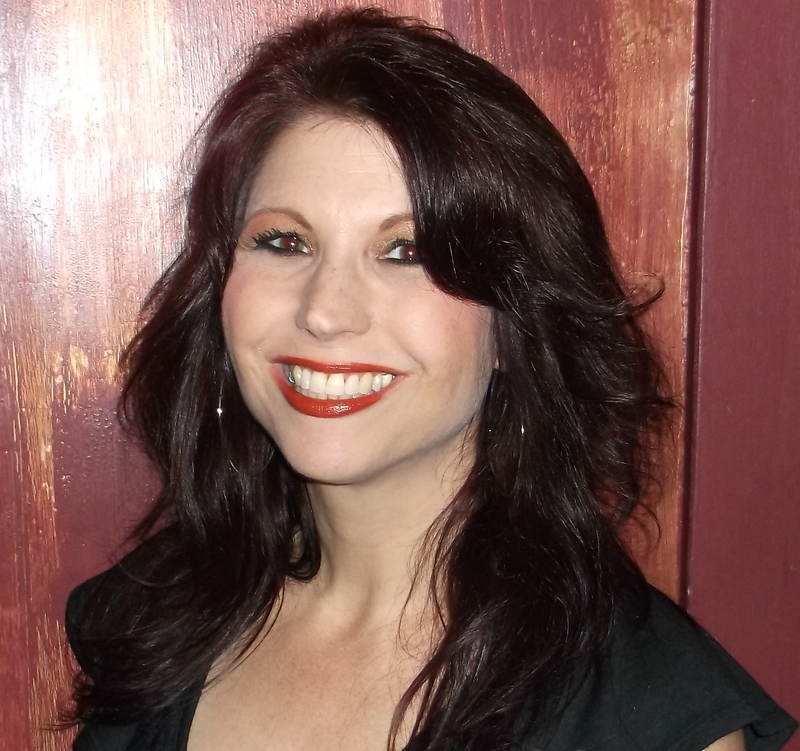 You are friends with my author, and you edited a couple of her books–romantic suspenses. Just so you know, Anna is as mushy-gushy about you as the characters in those books are about one another. *rolls eyes* I’ll tell her you stopped by. Awww, Bianca. That’s so sweet. Yes, I edited a few of Anna’s books and I adore her. (For her writing and just because she’s an amazing person). Tell her I sent my love.